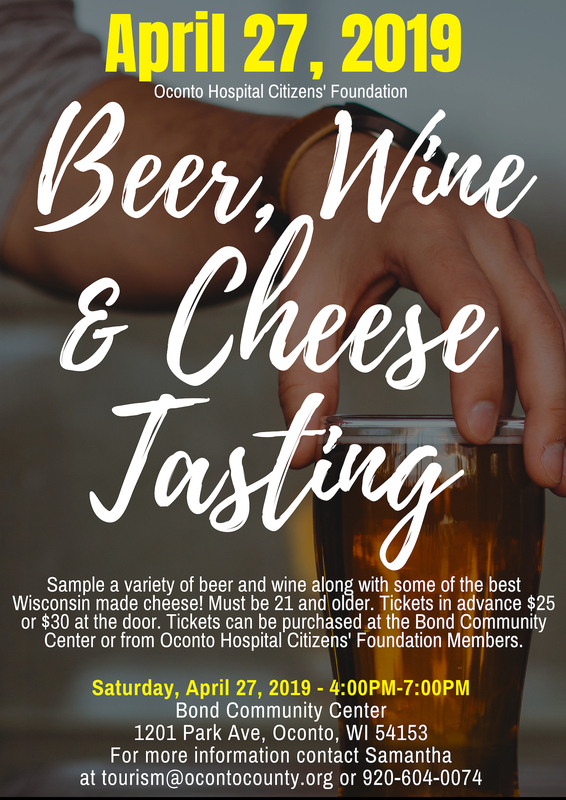 Annual Beer, Wine and Cheese Tasting event is set for April 27, 2019 from 4:00pm-7:00pm at the Bond Community Center (1201 Park Ave) in Oconto. Sample a variety of beer and wine along with some of the best Wisconsin made cheese. Must be 21 and older. Tickets in advance are $25 or $30 at the door. Tickets can be purchased at the Bond Community Center or on-line! Raffles and door prizes will be taking place throughout the event. If you have any questions please contact Samantha at tourism@ocontocounty.org or call/text 920-604-0074.